Get a sugar rush of wins! 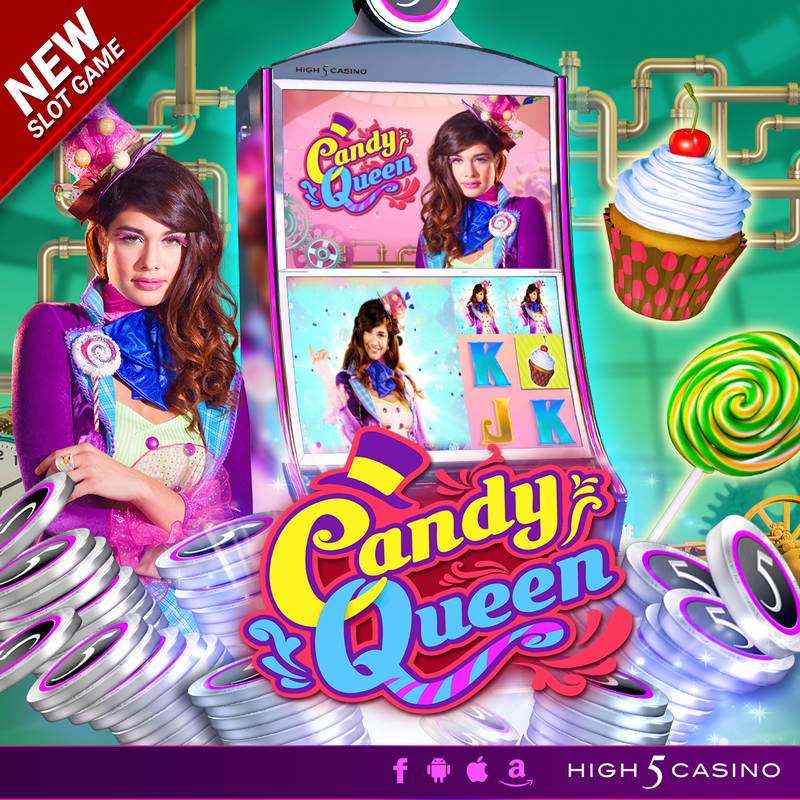 High 5 Casino’s 246th Game, Candy Queen, is coming soon! It’s a world of creation from your own imagination when you take a trip to this quirky Wonka-esque candy factory! The delicious variety of gummy jackpots, spinning lollipops, and whirling win cupcakes will have you loving all things sugar. Make it an extra sweet and fun visit when you snag the golden bonus ticket! Check out the YouTube video below and get ready for the scrumptious sweet winnings that await you soon! Is your sweet tooth ready for the sugary BIG WINS coming H5C with Super Stacks, Triple Symbols, Bonus Select, and Candy Queen Picks? Comment in the conversation bubble located on the top right corner of your screen and let us know what you think! This entry was posted in game preview, Game Release, High 5 Casino, High 5 Games, High 5 Moments and tagged Android, App Store, Apple, Bonus Select, Candy Factory, Candy Queen, Candy Queen Picks, Candy Store, Facebook, Free Games, game preview, Game Spotlight, Google Play Store, H5C, High 5 Casino, High 5 Casino Mobile, High 5 Games, iOS, iPad, iPads, iPhone, iPhones, mobile gaming, slots, social gaming, Super Stack, Super Stacks, Triple Symbols by hoothigh5. Bookmark the permalink. You have shared great piece of information about candy queen game. I have played this game and this game is simply awesome. Thank you for giving review on my favorite game.